You will not want to miss this charming 1400 sq.ft ranch home with an unfinished walk out basement! !Open family room and kitchen,3 bedrooms,3 baths and laundry room. Family room has tray ceiling,kitchen has an abundance of cabinets,prep area,island and pantry,laundry room,master bedroom with tray ceiling,spacious walk in closet,master bath with double vanity,tile floor,split bedroom design with 2 bedrooms and full bath with linen closet. Unfinished walk out basement has a third full bath. A 4th bedroom is possible in the basement. Outside you will find beautiful landscaping,covered front porch with white railing,deck,spacious yard,shed and blacktop drives. Two drives give you the opportunity to store your boat or RV. This home is immaculate and move in ready. A MUST SEE!! 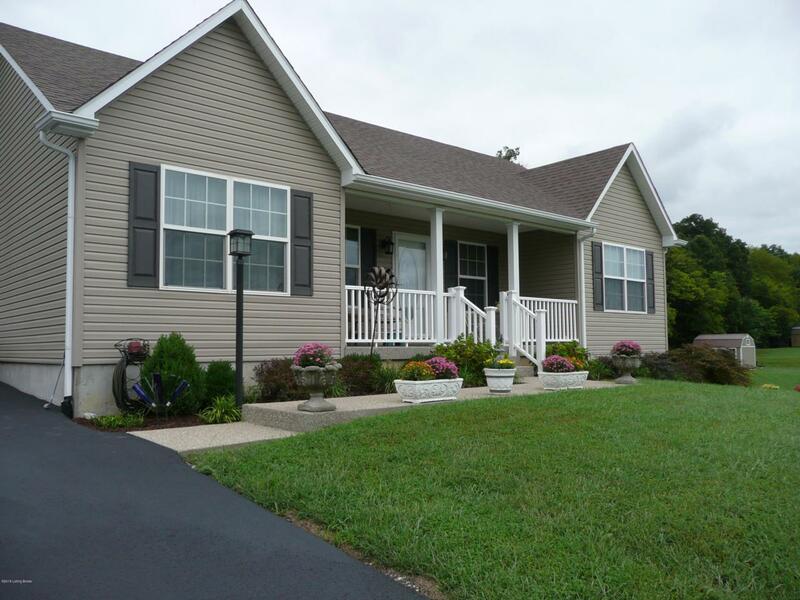 Listing provided courtesy of Elk Creek Realty. © 2019 Metro Search, Inc. All rights reserved.